ʼs. Can you believe that? I am really dating myself. Before that I enjoyed crewel and needlepoint, but on a vacation to Charleston, South Carolina, I saw a great deal of cross stitch and decided to give it a try. 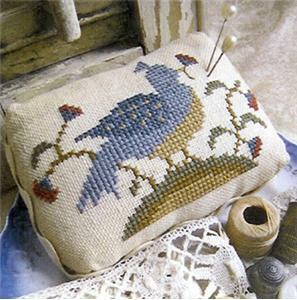 Needless to say, I fell in love with it, but there was not a wealth of cross stitch designs to chose from at that time and even fewer “traditional” or “folk art” designs. Since I grew up in historic Fredericksburg, Virginia and moved back there shortly after getting married, my love for all things “olde” just kept being nourished. Hence, the need to design my own needlework was born. Fortunately, a local needlework shoppe owner, Elizabeth Sheffield, saw my designs when I took them there for framing. 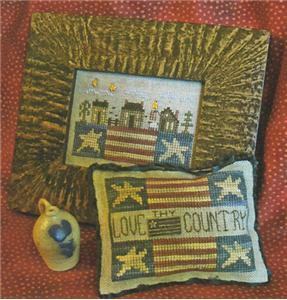 She encouraged me to chart my designs to sell in her shoppe and they sold immediately. I think of her often and know she is truly responsible for my career. Q. What are a few of your favorite themes when designing a pattern? A. Looking back through all of the designs that I have done, I must say that Christmas and Autumn designs are very prevalent. Those times of the year are my absolute favorite. I love decorating for all of the wonderful events during that time and cross stitch projects are a major part of the decorating. Obviously, I also gravitate to Reproduction samplers and original samplers. A. I resisted technology for the longest time. It was so intimidating to me and it still is. If it wasnʼt for my son, Cameron, holding my hand through this process, it would not have happened for me. Unfortunately, I do not think there is any way to avoid the internet if you are in the needlework business. Blogs have become so popular. This was a huge step for me. I was so afraid I would say something silly and it would be out here for all to read. Iʼm sure I have said some things I wish I hadnʼt, but for the most part it has been a very rewarding experience. I find myself looking forward to sharing things with my blogging friends. Even though I have never met these wonderful people, they are part of my life and I look forward to their comments. Obviously, I use the blog and Facebook to promote my new designs and to get feed back on what I am doing. It is great to have this sounding board. A. I used to stitch a lot more than I do now. You might not know it but I became a “Grammie” for the first time this year. I canʼt imagine why but this little guy “Avery”, has become more important than stitching but he has. Donʼt get me wrong, I still stitch. Stitching is such a part of me that I just have to make a few stitches everyday, or my day is not complete. I just did a new design “To Stitch Is Bliss” and I truly believe that. It is a blessing to have some wonderful stitchers to help me though. Without them, this would have been a very sparse year for designs. Q. What would you say to your fans that are reading this? A. Thank you so much for following me all these years. My heart is happy every time my designs sell and it is because of all of you. Q. Whatʼs your favorite holiday and why? A. Oh, that is definitely Christmas. Family is so important to me and that is what makes it so special. Iʼm a very “sentimental” person and love doing the same foods and the same traditions, and sharing those things with my family and friends. Q. Would you share a little bit about your family? A. Of course I would. I am always happy to brag about my family. My husband, Lehmer, helps me with some aspects of my business. He retired way too early, so I take advantage of him whenever I can. My children, Cameron and Hollis, both live in Richmond, Virginia, which is only fifty miles from us. We are so fortunate that we get to see them so often. Cameron graduated from William and Mary with a degree in Government and Classical Studies. He is the computer genius who enables me to exist in this technological world. I havenʼt figured out yet how his degree helped him in his career. Hollis and her husband, Paul, are the parents of that special little boy, Avery. Hollis graduated from James Madison University with a degree in Business administration and Paul from Savannah School Of Art and Design with a degree in Computer Animation. Hollis is a Marketing Specialist with an engineering firm and Paul is head chef for a wonderful restaurant. You might remember that Hollis has designed some cross stitch in the past. She keeps talking about doing some more (in her spare time - HAHA). I wish she would though, she is very talented. I would be remiss in not mentioning two people who are not family members, but seem like they are. Faye, who has worked with me for years and Iʼm sure many shoppe owners know her, and Ethel, who has been my finisher forever. They are my wonderful friends who have made it possible to run Homespun Elegance. Q. What do you want to achieve in life? 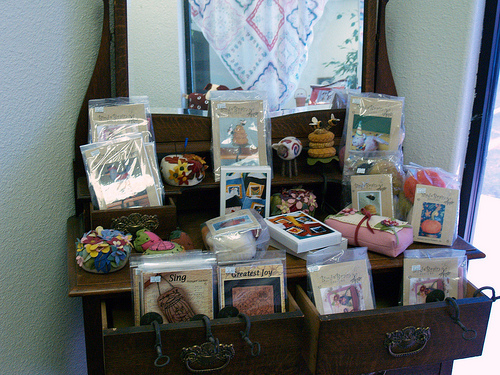 A. I want to continue to be involved in this wonderful needlework industry as long as I can. Since I started my business in 1979, I have never regretted this creative thing that I do. You would think that burn out would have happened by now, but it hasnʼt. Wish me luck! A. My mother taught me at seven to use the sewing machine and I just never stopped. Knit, sew, needlepoint, counted thread, crochet, quilt – I have or continue to do all of them with the massive amounts of product in all disciplines to prove it. Both grandmothers were prolific seamstresses and needleworkers - basically if it had to do with any kind of fiber they were well accomplished in it. A. Elegant Stitch, Inc. was "born" in September of 1997. We first opened as an internet site only and then in March of 2000 as a bricks & mortar and on-line shop. We have varied our products offered, tried different things, moved locations 4 times in 12 years due to property issues with our spaces, re-invented ourselves a few times to be sure, and we are still here. Q. Do you have an online web store, and if so how do you feel it has affected your business? A. 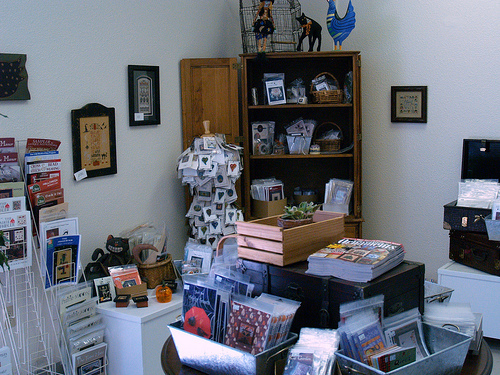 We started as an on-line store many many years ago – it is the only way to continue to stay in business these days. With computers, smart phones, notebooks and every other way possible to communicate on a 24-7 basis, it is an absolute must for a "luxury product" business to keep afloat. The only caveat is that the website has to be updated constantly and kept very currant. A. There are lots of products and designers that have fallen by the wayside since the downturn in the economy. Lots of linens are no longer available, harder to get, distributors not carrying the spectrum of products that used to be readily available. On the other hand, there are new products coming out (new linens and new hand-dyed linens), some new threads, etc. We are more careful as to what we purchase for the shop at this point and we have found that the stitcher would rather spend their fun money on linen, threads and charts than they would on "tools" or frames, or thread holders, etc. Q. Where do you see your company in 5 years? A. I think that in five years I will be retired and the shop will be closed and I will be traveling and seeing parts of the world I have only dreamed about. A. This is a double edged sword. I think (and I find myself doing it too) that we spend so much time on the internet and the social networks TALKING about and pinning about needlework that we don’t do as much of it as we could. I think the social media is a very good thing, but it seems to create a "sheep" like atmosphere where we all talk and show pictures of what we would "like" to stitch but at the end of the day – it’s only talking and showing and very little stitching gets done. My company is represented with a blog spot, a web site, FB, etc. but the "media" aspect of it seems to be a full time job and that doesn’t leave much time for running the shop or doing other things. I also worry about the public getting bored with all the "yapping" and not doing – like I said – double edged sword. A. I stitch anything and everybody but I do have some favorites: Blue Ribbon Designs, Drawn Thread, Blackbird, Merry Cox, C.A. Wells, Shepherd’s Bush…they all hold a special place in my heart…and I know I’ve forgotten some – without question. A. This is not a hobby or a place to sit and stitch. This is a business and you don’t own it – it owns you!!! Kris Stott used to sit new shop owners down with me and another shop owner from Glen Ellyn and have them ask us questions. Our favorite question was "When do you stitch in the shop?" We would look at each other and the standard answer was NEVER – didn’t have time – too much to do – all the stitching got done on our "personal" time because there just weren’t enough hours in the day to get anything done at the shop. Q. Have you ever attended a TNNA trade show, and if so what are your thoughts on it? A. I have attended many TNNA trade shows and enjoy them greatly. Our only problem is that there are never any on the west coast and for us to attend markets it is very time consuming and very expensive. We shoot for 2 shows a year. The networking, the ideas, the finishing, the decorating – not to mention the business and social aspects of Market are things that should be treasured – they make us who we are. A. We have retreats and workshops twice a year, historically in April and October. We have had various teachers over the years and they are well attended – we have many stitchers who have never missed an event and come back year after year after year and we so appreciate that. We try to keep them fresh and different, new and fun and our guests are never sure what Annie and I will come up with…it’[s always a surprise. Q. Besides stitching, and running your business, what are a few things you enjoy in your free time? A. I spend a great deal of time training for the 60 mile, 3 day walk for breast cancer being held in Dallas, Texas in November 2012. I garden, quilt, knit, crochet, home renovation; there are not enough hours in the day to do everything I want to do – not to mention all the needlework I want to do. A. Love christmas – and loved it more as soon as I discovered that it didn’t need to look like a greeting card and it was more about how and who you spent the time with – that was a very freeing discovery. There is nothing more fun than decorating the house for the Holidays and it just transitions from Halloween (another favorite) right thru until New Years…door wreaths, stuff on the mantle in the family room, pretty much everywhere and then of course, it becomes a huge job to get it all down and packed away but that is part of the fun. A. Have been with my husband Bruce for almost 20 years and married for 15 years this July. He has three children and 4 grandchildren who all live east of the Rockies and our family consists of six cats (2 at the shop and 4 rescue Persians at home) and 3 shih tzu dogs (2 boys and a girl). I am the oldest of four children and I have lost both parents. A. 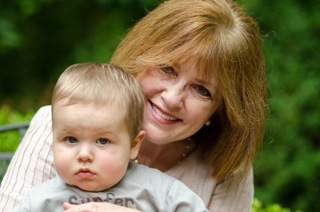 Surviving breast cancer and doing something meaningful with the knowledge and experience. Opening and maintaining this business and having it grow and prosper. Quitting smoking – one of the hardest things I have ever done in my life – and I enjoy my status of being a "non-smoking smoker"…but that truly was one of the hardest things I have ever done and I have never lit up another one after I quit. A. Silly question – do anything I wanted to do every single day for the rest of my life…and find a way to purchase enough time to allow me to do that. Q. Who has influenced you most in your personal life? A. My mother without question. Some good, some bad, some a test of patience, some a test of learning – but always an influence and a life’s lesson and I miss her every day. She did everything she could to be a good mom – and of course, being the first born – there was lots of trial and error because we all know that children don’t come with a set of instructions. i love this whole post so much..